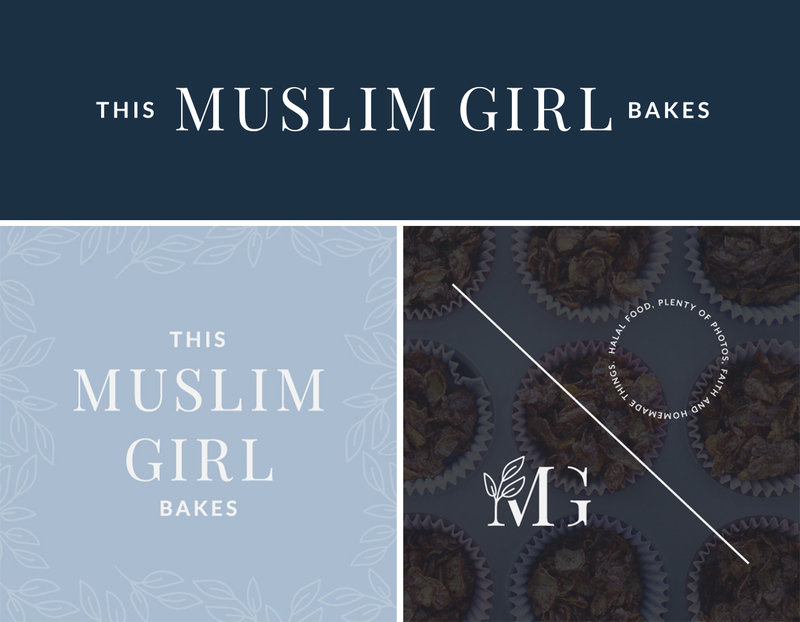 Showcasing a design project I completed in 2016 | Food blog branding includes; Logo design, logo variations, custom color scheme, fonts selection, blog styling and development. 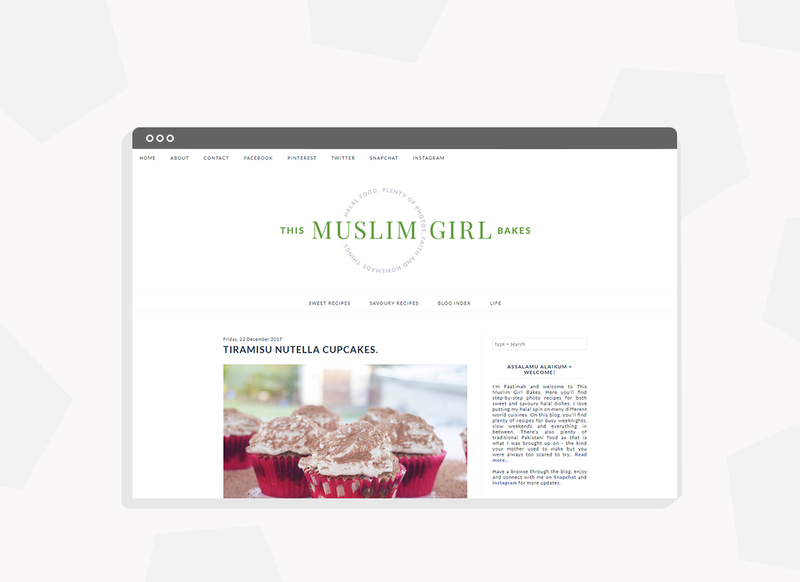 This Muslim Girl Bakes is mainly a food blog where author Faatimah shares easy step by step family recipes and other bits of her day-to-day life. And that's how the tagline of the blog goes, "Halal food, plenty of photos, faith and homemade things". She has been running this blog since 5 years now and the vast recipe collection is a clear proof that you can find almost every recipe from Desi to English (with halal spin) at her blog. Must check! 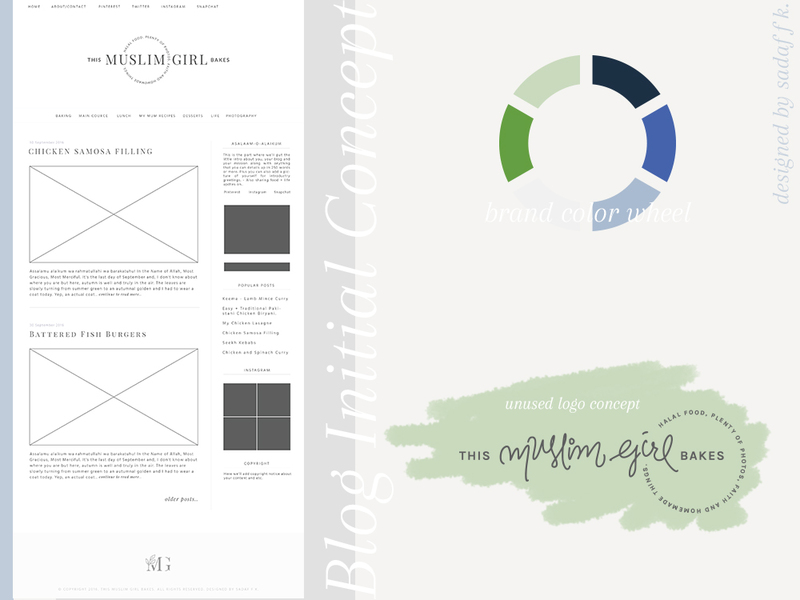 Before she reached out to me, she was using a blog template from the Blogger theme collection and had also made few tweaks by herself. She was after somewhat personal as well as professional approach, which basically wasn't easy doing it with Blogger's pre-made themes available. So that's where I helped her design and develop everything matching her blog needs, from identity to layout. And proudly sharing the final outcome that me and Faatimah are both delighted to have achieved in the end. 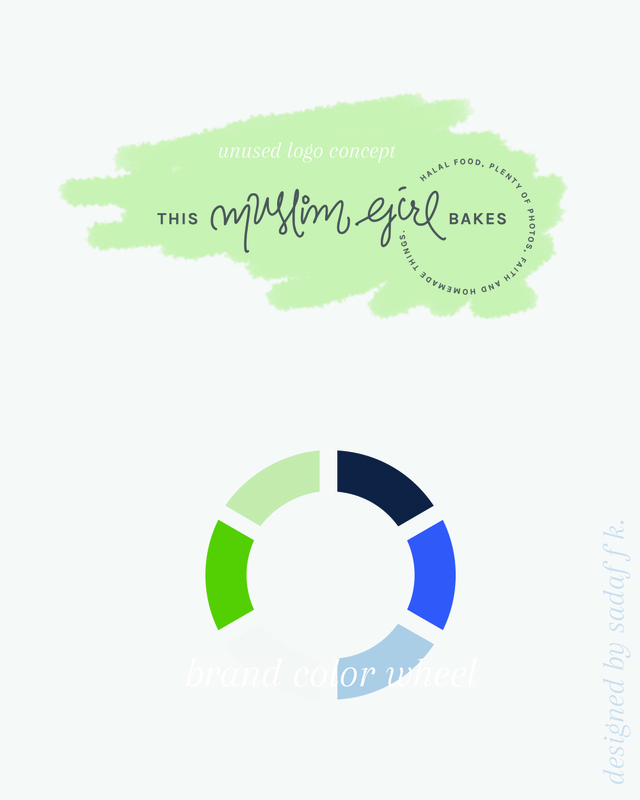 Keeping logo simple with the mixture of serif + sans-serif type along with the use of leaves inspired from her nature photography and picked from the words highlighted in the brand; natural, halal, homegrown, pure. 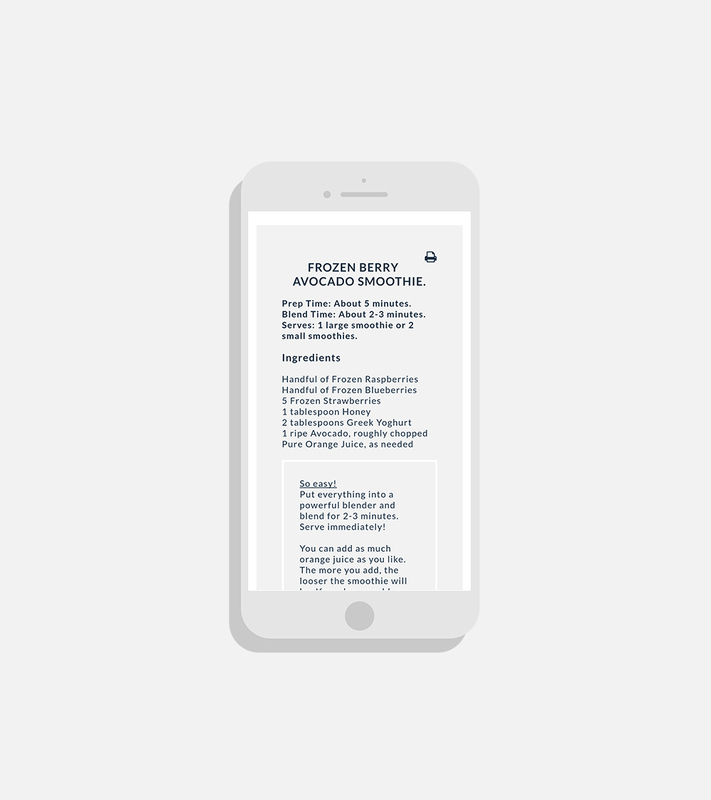 Theme features a curated 2 column responsive blog layout, interactive navigation, simple blog post sharing button, grid categories pages, minimal comments styling, custom recipe box layout and a button that let you jump direct to the recipe. Visit the link (blog) to see whole visuals in action!